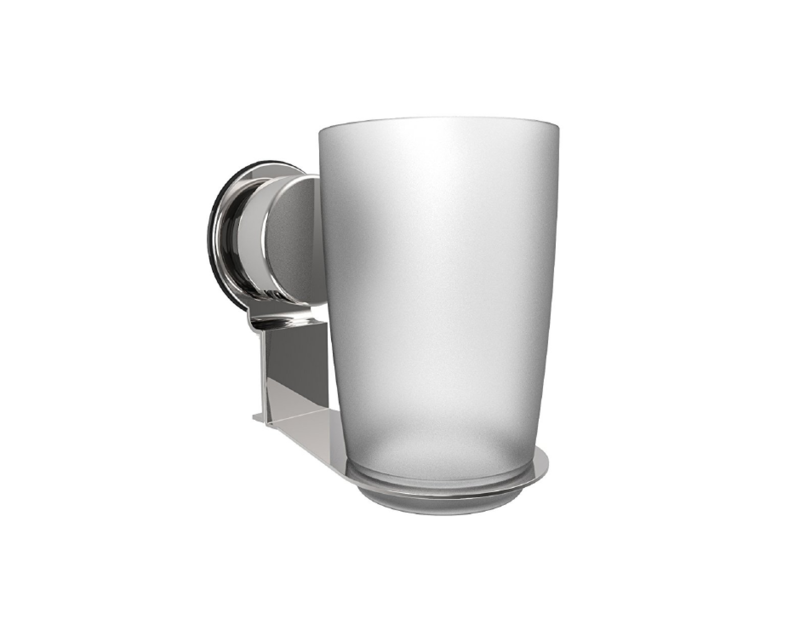 Featuring a stainless steel twist lock suction cup with polypropylene disc, this tooth brush holder can be securely wall-mounted. Simply adhere to a smooth shiny surface such as glazed ceramic tile, glass or mirror by twisting the suction cup clockwise to tighten its hold. 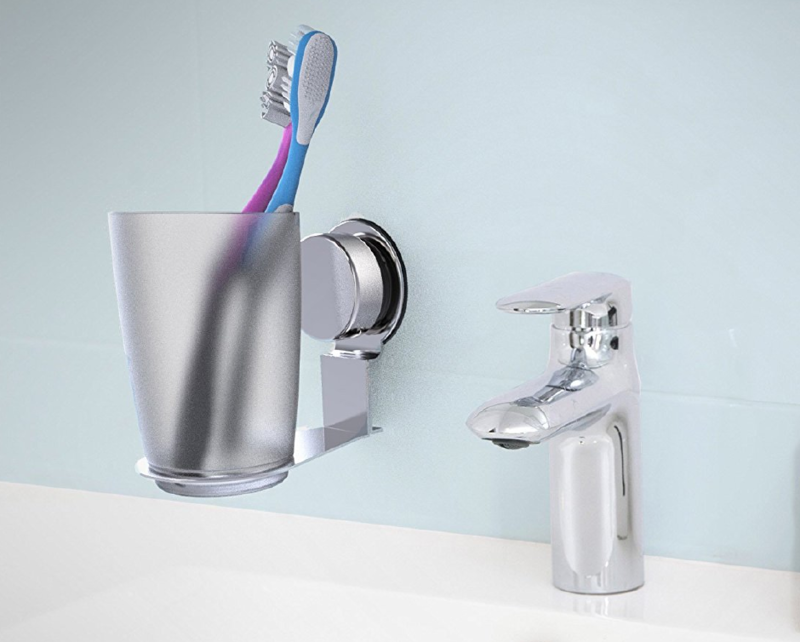 With its compact size, the slim Toothbrush Holder is ideal for any home or apartment which has space limitations. The slim and sturdy food safe polystyrene toothbrush holder can be conveniently moved around by the sink area. Its sleek design can enhance your room décor. Lavish Home Wall Mount Toothbrush Organizers are constructed with a rust proof stainless steel twist lock suction cup and chrome plated iron ring base. Keeping this rust free easily allows for long-lasting reliable use. This will not adhere to textures, porous or rough surfaces such as stone, porcelain, marble, granite, dry wall or wood. Minimal assembly required. Instruction sheet included in package.